Welcome to a second post from our dear friend Alexandra Lamachenka! Alexandra heads marketing at SplitMetrics and Search Ads HQ, mobile A/B testing and Apple Search Ads optimization software trusted by Rovio, MSQRD, Prisma, Zeptolab and many others. Alexandra shows mobile app development companies how to hack growth by running ads on the App Store and increasing conversions with A/B experiments. Have you explored the potential of the Apple Search Ads (ASA)? Enjoy this guide! Why to use Apple Search Ads? What’s the structure of Apple Search Ads? How to create an Apple Search Ads campaign? How to track Apple Search Ads results? Apple Search Ads allows developers to create and run ads on the App Store that users see when they search something using particular keywords. Since the launch of Apple’s new advertising platform in November, 2016, big developers and small players have noted several points that help it stand out from other advertising channels. BTW, did you know that Search Ads can help you with App Store Optimisation? When it comes to app advertising, user acquisition costs play the main role. An average tap-to-install conversion from Apple Search Ads stands at the figure of 40-60% which is five times higher than conversions from Facebook or Google AdWords. Taking an average cost per tap of $0.50, a user acquisition cost turns into $1.00. Sounds great, doesn’t it?! And there are several reasons for such numbers. The key reason is that, unlike on Facebook or AdWords, the majority of users do not even recognize that they tap an ad. Only a light-blue substrate and elements size differentiate expanded ad banners from an average product card. Therefore, people who come from the App Store Search Ads convert into installs as great as organic users do. Another reason is that Apple considers a bunch of metrics to decide whether an application can take part in the auction and run ads with a particular keyword. Unlike on Google AdWords, where a relevance is a variable for calculating bids (the lower the relevance is, the higher bid you need to set), here the relevance score keeps costs per taps on an average level by not allowing big players to get into auction if their apps are not relevant enough. If an app is lucky to have the right relevance for particular keywords, a developer can start running ads. Apple Search Ads works as a Second-Price auction. This means that if two companies want to run search ads for one keyword and set $2 and $3 bids respectively, the higher bid wins and the winner pays $2 + $0.01. If the first developer wants to overbid and start running ads, they’ll need to set $3.01 as a cost per tap. Since ASA is a plum for developers, we’d love to make it easy for you to get up and run campaigns. These are the exact steps and lessons us and our users have been taking to build up and scale ads on the App Store. And now, let’s start with the guide! To get to your Apple Search Ads dashboard, you can head to https://searchads.apple.com/ and login with your developer account. Marketing specialists who work with mobile ads on Facebook will be hardly excited about banner options on the App Store – there is only one basic type of search ads with 3 layouts that you cannot choose. Targeting options are limited as well. Those developers who work with Google Adwords will find Apple Search Ads familiar, easy to manage and navigate. Ads Account. Here you can host multiple campaigns that will share the same payment method, API, etc. Campaign Group. On this layer, you will have a series of campaigns with a single purpose. Campaign. Here you will focus on one app. Ads Group. An ads group will contain similar keywords according to which your app will be shown. Keywords for a Special Ad. On this level, you put the exact keywords you’re going to use for an ad. Add an application for which you’d like to create ads. Choose a storefront: the USA, New Zealand, Australia and the UK are available now. Set a lifetime budget and daily cap. Apple Search Ads allows you to add negative keywords on each step of running ads. Adding keywords to negative means that your ads won’t be shown for these keywords. At the next step, you can set your ad group, scheduling, and user acquisition costs. Since ASA does not suggest the default Cost-per-Tap (CPT) bids, you can start your first campaign with average $0.50 per tap and grow a bid if you see that your ads are not running. However, you can either choose another strategy and set a higher CPT bid from the start. Since ASA work as a Second-Price auction, this strategy will allow you to identify the competing bid and understand whether you need to invest time and money in these keywords. Apple Search Ads also suggests you to set up a CPA goal which stands for a maximum price you are ready to pay for an install. This feature is mostly used by developers to optimize ads when they get clicks but a tap-to-install rate is fairly low. With a CPA goal set, ASA will try to optimize an audience in order to reach the Cost-per-Action a publisher can actually afford. After setting costs and scheduling a campaign, you can build a list of keywords for your ads. Tip: You can also use the Relative Search Term Popularity Index for keyword optimization. You can choose keywords and add them to a list by clicking “+” buttons or by adding keywords manually. Apple Search Ads allows you to add keywords separated by commas, and that’s definitely a call to copy keywords from iTunes Connect and then sort the ones you’d like to use for ads. Choosing the right keywords is challenging, so you’ll want to use app keywords tracking tools such as TheTool. Each keyword can have its own match type: Broad or Exact. By setting Broad Match, you allow Search Ads to suggest relevant keywords and add them automatically. For example, if your keyword is “pizza delivery”, your ads will be shown for “pizza delivery new york”, “delivery pizza”, “the best pizza delivery app”, etc. In a case of Exact Match, ads will be shown only for an exact word combination, “pizza delivery”. Age range. Keep in mind that no ads will be shown to users whose Apple ID is registered to a minor age 13 or under, or whose account is registered as a Managed Apple ID. The minimum age for audience selection is 18. If you select “All Ages,” you may reach users under 18 years old. However, Search Ads doesn’t target only users under 18. Once a campaign is set, click “Start campaign” and enjoy a new traffic channel! Apple Search Ads offers limited analytics that illustrates impressions, taps, installs, and a price for each install. The statistics are shown for each keywords, and developers are offered to decide whether ads are paying off basing on these numbers. To calculate the Return On Ad Spend (ROAS), app developers need to see whether acquired people bring money. That’s something they cannot see in Apple Search Ads account. What they do not want to do is to track each acquired user manually through third-party analytics tools. 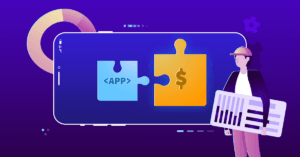 Therefore, for calculating an average revenue per user (ARPU) and return on investments (ROI) users set up integration between ASA and attribution partners (Adjust, Kochava, AppsFlyer, Tune) with the help of Search Ads HQ platform. To get to Search Ads HQ and bridge these two sides of the same coin, go to https://app.searchadshq.com/login (you will need to request an invite if you do not have an account yet). Connect Apple Search Ads using a certificate downloaded from your ASA dashboard. Investing more in keywords that bring the maximum revenue by using them in Exact Match campaigns. Killing keywords with irrelevant installs and negative ROAS by putting them into negative keywords. Broadening a list of keywords by analyzing the top-performing search terms. Apple Search Ads is a tool that can potentially replace all other user acquisition channels due to low costs and highly relevant traffic. Add to this smart analytics and keyword management that can be achieved with ads optimization platforms – and you’ll get a powerful channel that drives users with a high ARPU and retention rate. Is it worth to be tested out? Heck yes, it is. There’s so much to know on Search Ads – so, if you spot anything that’s changed about ads on the App Store since we’ve published, we’d be grateful for the heads up. Things move fast! Enjoy this amazing slides from our friend @ThomasBCN! Have you already experimented with Apple Search Ads? What do you think of this complete guide? Tell us in the comments. Feel free to share this post with friends and colleagues. Thanks in advance!